SCL was a male of 50 years old. He suffered from advanced, terminal liver cancer. The alpha-fetoprotein on 13 November 1999 was 27,519. SCL started taking herbs (together with the doctor’s liver medication) on 14 November 1999. 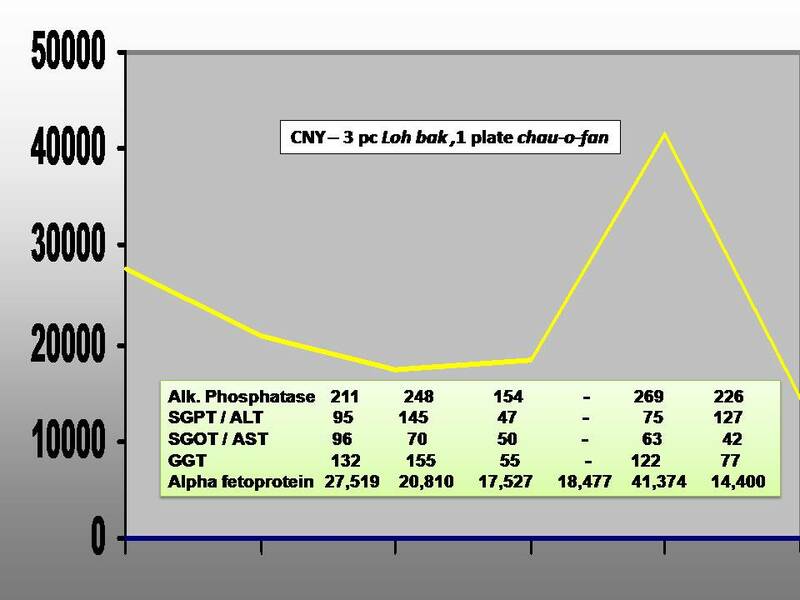 Since then the alpha-fetoprotein had reduced gradually (Table 8). During the Chinese New Year he took three pieces of lor bak (fried sausage) and a plate of char- hor-fun (Chinese noodle). The alpha-fetoprotein increased to 41,374. All liver function parameters were similarly and drastically elevated.